Polk County Agri-Fest – Sponsored by Florida’s Natural Growers Foundation and The Mosaic Company, Agri-Fest is a cooperative venture between Polk County Farm Bureau, Polk County Public Schools, the Polk County Extension Office, and the local agriculture industry. 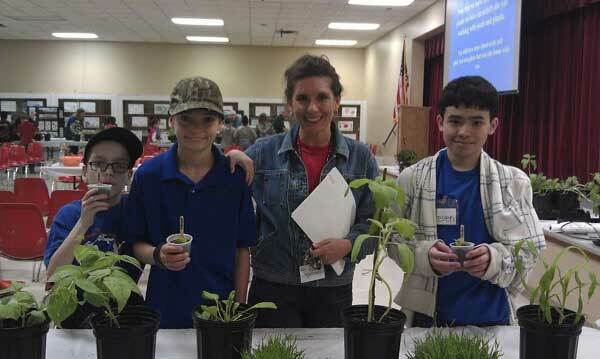 Annually, more than 300 teachers and 6,000 Polk County fourth graders learn about the area’s major agriculture commodities during the 10-day event. Students and their teachers explore interactive exhibits and attend hands-on workshops on citrus, beef cattle, phosphate, beekeeping, horticulture, forestry, aquaculture, blueberries, and small farms. Community involvement through volunteering helps make this annual event possible. The 2019 Agri-Fest event will take place March 11th – 15th and March 18th – 22nd. To learn more about the event or volunteer contact Lori Kuehl at 863-533-0561, ext. 111. (Background Checks are Required for all Volunteers). Class registration requests should be submitted to william.webb@polk-fl.net.